Management of Diabetes Mellitus & exhibits inhibitory action against glucose uptake in small intestine. Amree plus is a comprehensive oral anti-hyperglycemic for the management of Diabetes Mellitus. It also helps delay triopathic complications associated with diabetes. 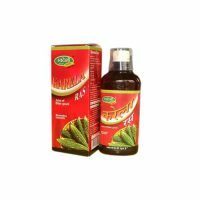 The formulation is specifically designed to provide comprehensive benefits with respect to glucose metabolism, insulin production and utilization, lipids metabolism as well as to alleviate the symptoms like fatigue, weight loss, excessive thirst etc. Exerts insulin mimic effect due to the polypeptide derivatives that resemble insulin in structure and action. Tones the islets of pancreas to regularize the secretion of insulin. 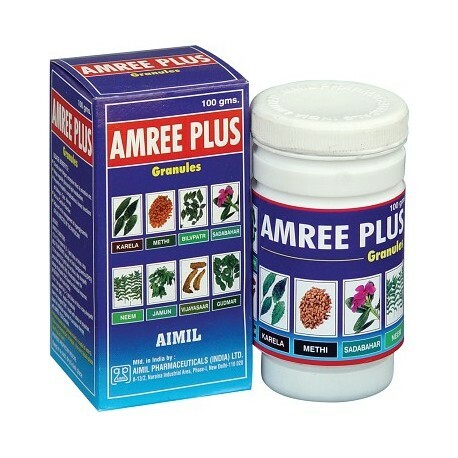 Amree Plus also suppresses selectively neural response of sweet taste stimuli on tongue. 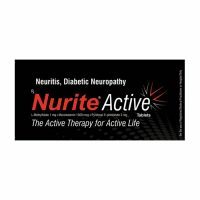 Activates the liver for effective glucose and lipid metabolism. 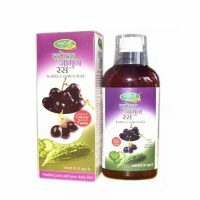 Provides essential nutrients for the well being of diabetics like bioflavonoids, glycosides, tannins, several micronutrients etc.